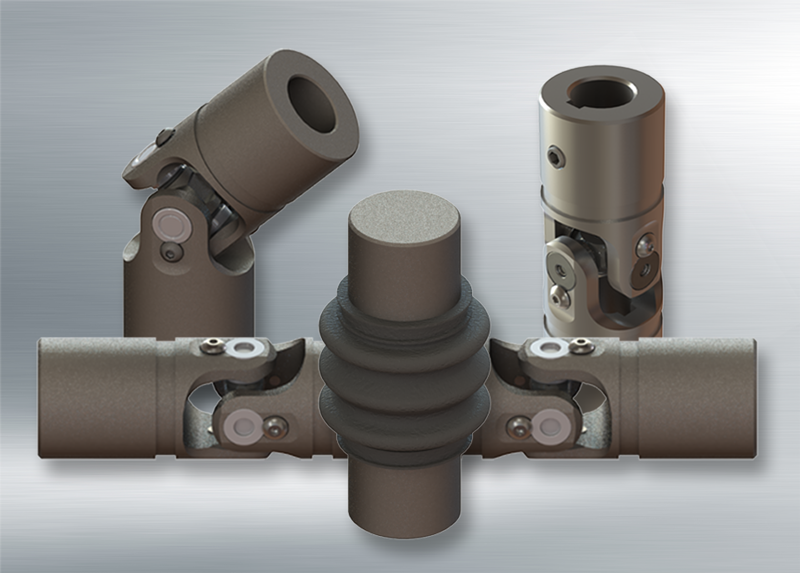 Needle-bearing universal joints are fitted with pre-lubricated needle bearings that reduce friction in high RPM applications such as robotics, packaging, instrumentation and others. They are designed to maintain low backlash over extended operational cycles. The joint has rigid axial stiffness for push/pull loads and can handle greater angles.